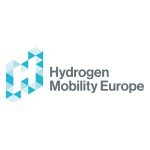 BRUSSELS–(BUSINESS WIRE)–Hydrogen Mobility Europe (H2ME) – the ambitious multi-country, multi-partner project to demonstrate that hydrogen can support Europe’s future transport demands – today announced that the first 100 fuel cell electric vehicles (FCEVs) deployed by H2ME are now on the road in Germany, France and the UK. Demonstrate the system benefits generated by using electrolytic hydrogen solutions in grid operations. Sixty of Symbio’s Renault Kangoo ZE-H2 range-extended fuel cell vans have been deployed in the UK and France, supporting the development of a network of hydrogen refuelling stations in those markets. Powered by a compact 5 kW fuel cell module, coupled with a hydrogen storage unit and medium-size automotive battery pack, Symbio’s range-extender kit doubles the range of Renault’s electric-only Kangoo ZE model to 320 Km. In addition, Daimler has deployed 40 B-Class F-CELL vehicles under H2ME in Germany. Thanks to the 700-bar, high-pressure fuel-tank system, the car has a long operating range of around 400 kilometres and can be refuelled in less than three minutes. The vehicle’s electric motor develops an output of 100 kW and, with a torque of 290 Nm, the car combines local emission-free mobility with day-to-day suitability and good performance figures. The new vehicles are exciting the market with the potential of a new generation of fuel-efficient, zero-emission vehicles. For CETUP, a logistics and delivery company, the Renault Kangoo ZE-H2 equipped by Symbio is a welcome addition to the fleet. It reduces overall fuel dependence and emissions, while providing the smooth ride and power necessary to keep the business moving forward. Symbio noted that in specialised markets where zero emissions and guaranteed daily operation are critical, Kangoo ZE-H2 customers are winning new business over competition. To perform last-mile delivery in cities that prohibit polluting transport, hydrogen provides unique features compared to pure battery-based utility vehicles. To illustrate, last September, CETUP’s Kangoo ZE-H2 equipped by Symbio broke a range record by covering 367 km at once with a fully loaded battery and a full hydrogen tank. In the coming years, the H2ME project will deploy partners’ next-generation FCEVs, including: Symbio’s next-generation FC RE-EV (Fuel Cell Range Extender Electric Vehicle) vans and Symbio Fuel Cell range-extended trucks; Honda’s second-generation FCEV; and Daimler’s next-generation Mercedes-Benz GLC F-CELL, which includes the additional energy source of a large lithium-ion battery and will feature external charging by plug-in technology for the first time. In total, more than 1,400 FCEVs will be deployed as part of the H2ME project throughout the UK, France, Germany, the Netherlands and Scandinavia. The aim is to increase the number of FCEVs operating on Europe’s roads to build on the strong networks of hydrogen refuelling stations created by H2ME and other initiatives across the EU. Recognised by the EU as critical to solving Europe’s environmental and economic challenges, fuel cell vehicles have been identified as a promising technology to lower emissions and improve energy security with minimal impact on the driver in terms of functionality or convenience. This €170 million demonstration project is co-funded with €67 million from the Fuel Cells and Hydrogen Joint Undertaking (FCH JU), a public-private partnership supporting fuel cell and hydrogen energy technologies in Europe. Partners include project lead Element Energy, alongside AGA, Air Liquide Advanced Business, Air Liquide Advanced Technologies, AREVA H2GEN, Audi, BOC, BMW, Cenex, City of Copenhagen (Kobenhavns Kommune), Communauté d’Agglomération Sarreguemines Confluence, Communauté Urbaine Du Grand Nancy, CNR, Daimler AG, Danish Hydrogen Fuel, EIFER, Falkenberg Energi, GNVERT, H2 Logic, H2 Mobility Deutschland, Honda, Hydrogene de France, HYOP, hySOLUTIONS, Icelandic New Energy Ltd, Islenska Vetnisfelagid (H2 Iceland), ITM Power, Linde AG, McPhy Energy, Michelin, Netherlands Ministry of Infrastructure and the Environment (Ministerie Van Infrastructuur en Milieu), Nissan, OMV, OPEN ENERGI, Renault, Renault Trucks, SEMITAN, Stedin, STEP, Symbio FCell, The Danish Partnership for Hydrogen and Fuel Cells (Partnerskab for brint of braensdels cellar), The University of Manchester, WaterstofNet. The Fuel Cells and Hydrogen Joint Undertaking (FCH JU) is a unique public-private partnership supporting research, technological development and demonstration activities in fuel cell and hydrogen energy technologies in Europe. Its aim is to accelerate the market introduction of these technologies, realising their potential as an instrument in achieving a carbon-lean energy system. 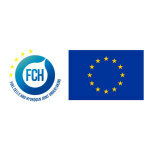 The three members of the FCH JU are the European commission; the fuel cell and hydrogen industries, represented by the NEW industry grouping; and the research community, represented by research grouping N.ERGHY. This project has received funding from the Fuel Cells and Hydrogen Joint Undertaking under grant agreement No 671438 and No 700350. This joint undertaking receives support from the European Union’s Horizon 2020 research and innovation programme, Hydrogen Europe, and the New European Research Grouping on Fuel Cells and Hydrogen (“N.ERGHY”).